How Am I Going to Get Through Mesothelioma Treatment? Many people newly diagnosed with mesothelioma find themselves overwhelmed with a complex range of thoughts and feelings. After all, it’s not easy to adjust to having your world turned upside down. Throughout my 20 years of providing counseling and support to cancer sufferers and their loved ones, I’ve had the honor of helping people cope with difficult emotions from the time of diagnosis to the end of treatment. A mesothelioma diagnosis often makes people feel threatened and vulnerable. When we feel this way, we tend to forget our strengths and instead focus on negative qualities and poor outcomes. Newly diagnosed cancer patients often share negative comments with me. Some have told me, I am not a strong person. Others say they’ve never been good in a crisis and they don’t know how to get through this. I’ve found some people just don’t see themselves making it through treatment, even though they very much want to fight and survive. Whenever people with mesothelioma and other cancers doubt their courage or strength, I offer some helpful suggestions for moving forward. First, I encourage them to recall a difficult time from their past. This could be a time when they lost their job, suffered the death of a loved one, went through a divorce or suffered a painful emotional loss. I also ask them to recall any surgeries, painful injuries or illnesses they’ve experienced. Next, we make a list of all those challenging events they have overcome during their lifetime. We then discuss the coping strategies they used to get through them. It is important to acknowledge the physical and emotional challenges patients must face when battling mesothelioma. People tend to feel more hopeful and empowered when they are able to remember overcoming past challenges. It also helps to recognize the personal strengths that helped them cope. Mesothelioma is a serious diagnosis, and treatment is a challenging undertaking. Treatment options typically include some combination of surgery, chemotherapy and radiation, depending on the stage of cancer and the person’s overall health. Invasive surgeries, such as extrapleural pneumonectomy and pleurectomy/decortication, aim to remove as much cancer as possible. 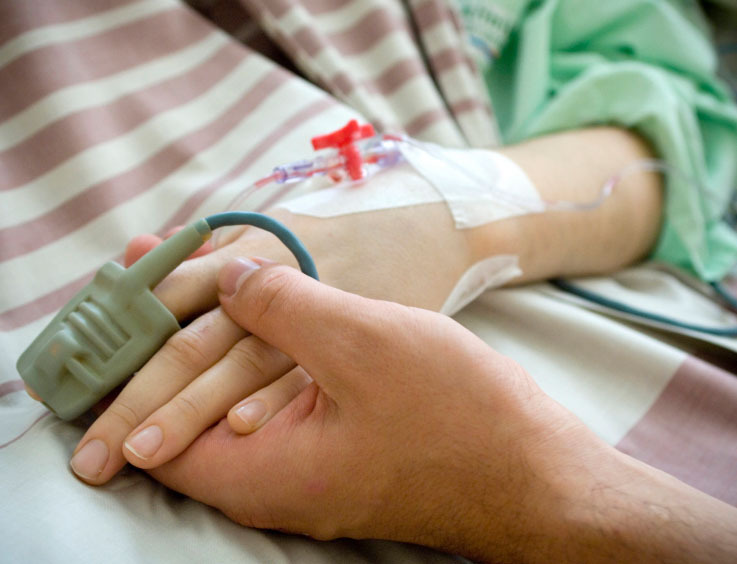 Surgery is typically followed by chemotherapy, which may lead to side effects like fatigue, nausea, pain and tingling. Radiation therapy may also cause fatigue and burning of the skin in the area that receives radiation. Over many years of observing and supporting patients as they likely undergo the most challenging medical treatment they’ve ever had, I formulated a response. I reply that I honestly can’t tell them how they are going to get through treatment specifically, but they will find a way to do so as long as their goal is to continue treatment. We all have a survival instinct that’s activated when we feel physically threatened. When we need to run for our life, it gives us the speed to run faster than we ever have before. When it comes to cancer, it gives us the strength to get out of bed, get dressed and go to our last round of chemo even when we barely have the energy to move. It gives us the courage to go to doctor’s appointments and hear news about our latest scans even though the news may not be good. The American Cancer Society offers additional advice for coping in After Diagnosis: A Guide for Patients and Families. The guide stresses that it takes time to adjust to a cancer diagnosis, and feelings like shock, fear, anger and disbelief are completely normal. Learn more about your cancer and treatment options. Researching as much as you can about mesothelioma and the leading treatment options may give you a better sense of control after diagnosis and throughout treatment. Find time to exercise. Studies show light exercise during mesothelioma treatment is not only safe and feasible, but it may also help reduce cancer-related fatigue and chemotherapy side effects. Always talk to your doctor before starting a new exercise regimen. Share your emotions. Instead of viewing your feelings as a weakness, find an outlet to express them. You may feel better if you share your emotions with a family member or friend. You can also express yourself through music, art or a personal journal. Focus on you. Take some time each day to do something you enjoy. You could watch a movie, listen to music or work on one of your favorite hobbies. While a mesothelioma diagnosis is a life-changing event, many people find ways to live a normal life during and after treatment. It’s important to keep in mind that everyone copes with cancer in their own way. It may take some time to find which coping strategies work best for you.